Welcome to our Winter newsletter. We hope to find you all well especially in the weather that we have had recently. We hope that you enjoy this edition of our newsletter. Spike’s owners brought him to us as they had growing concern for a lump on his leg. The lump turned out to be a keratin cyst. Keratin is the same material we have growing on our heads as hair. The mass was measuring at 3cmx3cm and was giving Spike a lot of trouble so it needed to be removed. Reptile anaesthesia is trickier than it is for a cat or dog as reptiles often hold their breath, meaning that we had to breathe for Spike to ensure he was taking in the anaesthesia.Check out the size of the lump that Lennon removed in the picture above ^^ what a whopper! As Lennon finished stitching up, the team began to wake up Spike. Recovery was slow, but he was able to return home to his doting owners that evening. 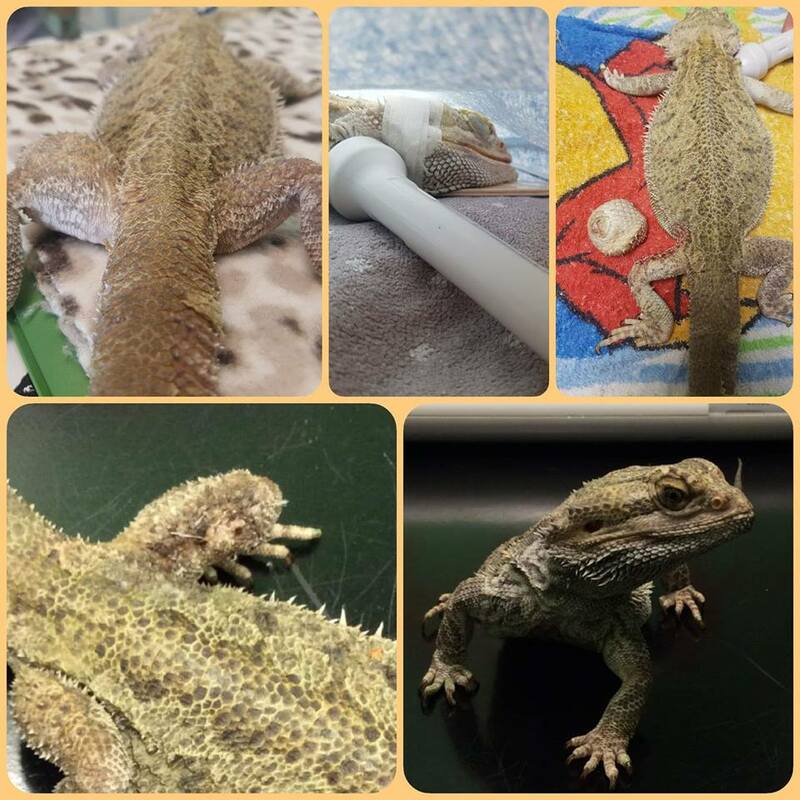 Thanks to the brilliant care from his owners, Spike is now back to his normal self, enjoying life as a bearded dragon and, as you can see from the picture, his leg has healed beautifully. With Winter upon us and Christmas imminent it can be a stressful gloomy time of year. 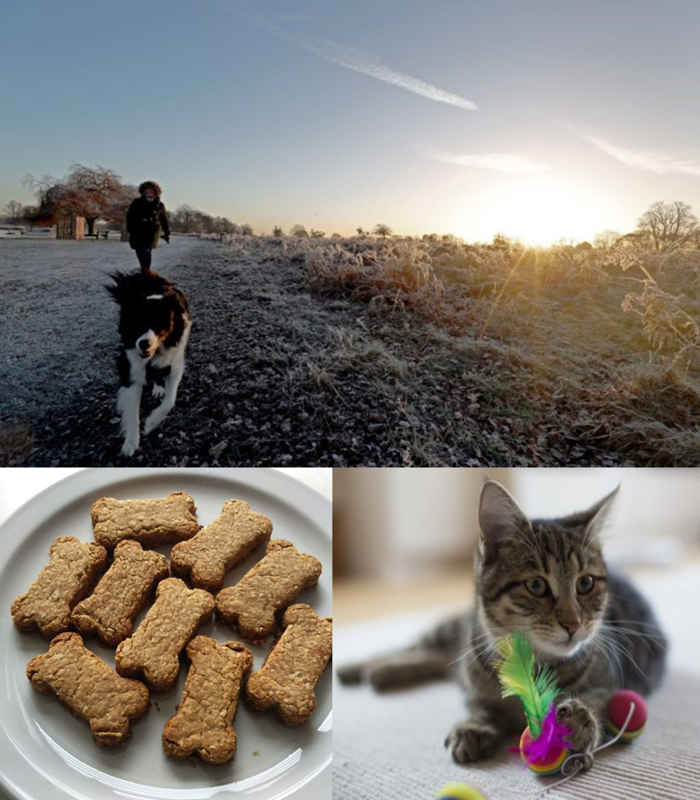 Why not take your mind away from the Christmas shopping and focus on doing something fun with your pets. Some may be more relevant to you than others, but the idea is to have fun! Christmas bake treats for your pets: you could turn them into an advent calendar. Check this link for a few recipes >>treats! Take some Christmassy pictures with your pet ready for cheesy Christmas cards! Help an animal in need: This is the easiest of all to do. A lot of local shelters have wish lists on sites like Amazon or food collection points in supermarkets. It can feel good to help those in need. Remember to smile and enjoy Winter and share your Christmas pictures with us! Christmas can often be very stressful for our animals with all the comings and goings, extra house guests and more noise. 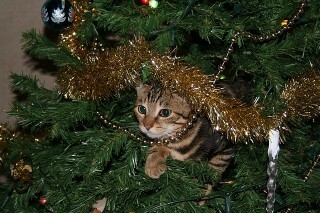 It can also be a dangerous time for pets with different foods about and decorations posing as a hazard, especially for cats. -Ensure any outdoor animals have plenty of clean warm bedding and fresh water. Low temperatures freeze both water bottles and wet bedding. You may even need a cover over hutches. Check out a few of the foods to avoid here!We hope you have found this useful! 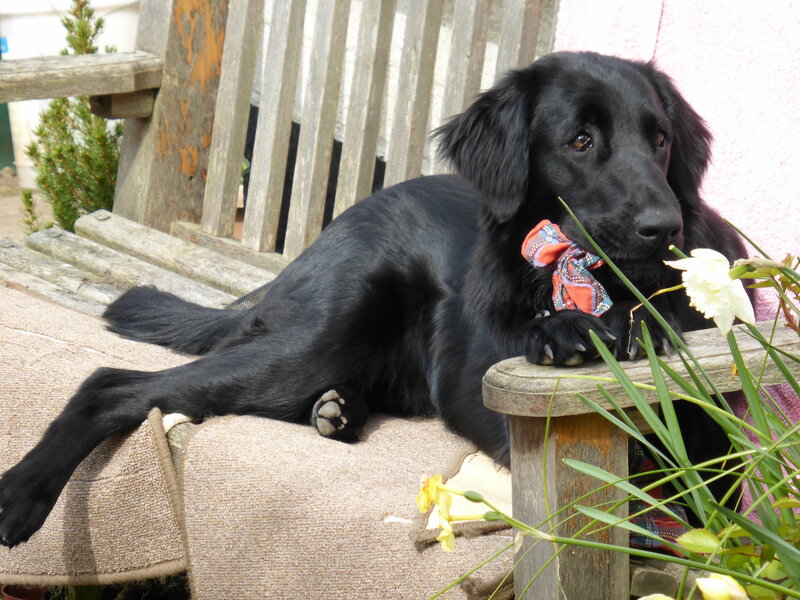 Isabella is a gorgeous flat coat retriever with buckets of energy. Her owners, Margaret and Keith, adore her and the entire Amity Team leap for joy when Izzy and her family are coming to visit. She has had her fair share of medical drama to get through. After last year’s major surgery to address her heart murmur no-one expected her to have to have another surgery so soon. A few months ago Margaret noticed a rather unusual mass on Izzy’s belly. She was brought straight to us where Lennon took a sample of the mass. The mass was diagnosed as being a histiocytoma; a benign mass that was expected to go down. A close eye was kept on the mass for a few weeks, but no improvement was made and the mass had doubled in size. At this point Keith and Margaret had increasing concerns for Izzy and made the brave decision to have the mass removed. Lennon removed the entire mass and used a special suture technique in order to close the surgical site. The mass was then sent away to be analysed. Results came back that the mass had not turned into anything more and had been removed fully. After a few weeks of rest, Izzy is now back causing chaos everywhere she goes and Keith and Margaret can rest easy knowing she is all better. 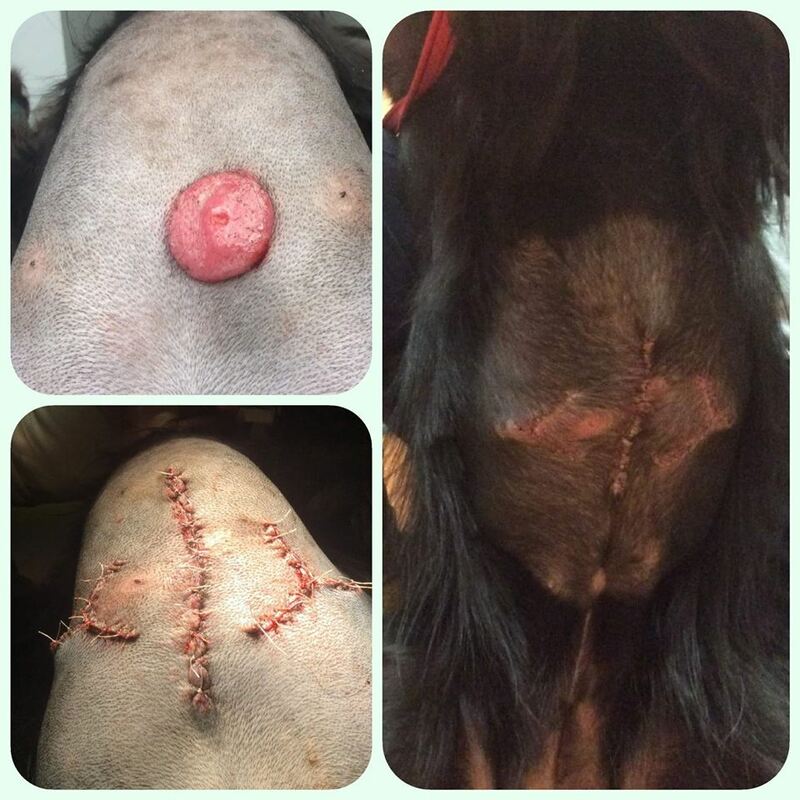 See the pictures below for the surgery. At Amity we are lucky enough to get to see a variety of animals on a daily basis. 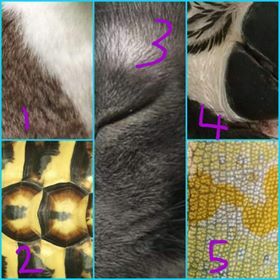 Check out the picture below to see if you can guess who is who. Email your answers to friends@amityvets.com, the person who gets them all right and to us the fastest will win a Christmas prize. All the team have been working hard over the past few months to develop something completely new for you all. We are so excited and cannot wait for you all to experience our new way of working… Keep your eyes open and keep checking the blog and Facebook for more details. A full article will follow in the Spring newsletter!